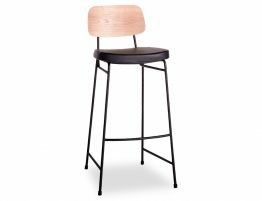 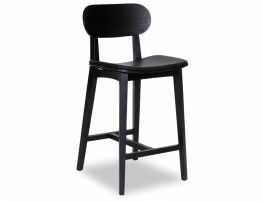 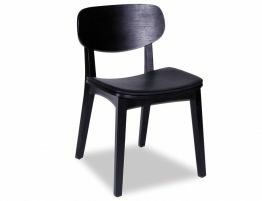 The Saki black American Ash wooden dining chair is a classical reproduction of a retro mid century style of chair that refuses to date and forever remains stylish and influential. 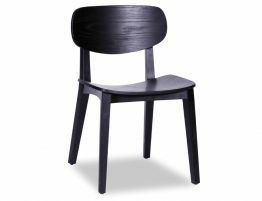 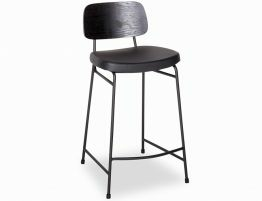 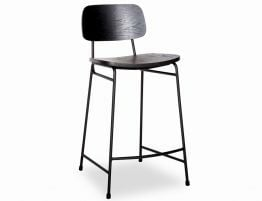 The black American Ash wooden frame with black padded seat boasts comfort and style allowing the Saki dining chair to blend effortlessly in the most modern of interiors. 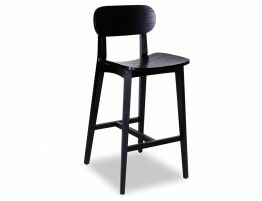 The strength of our design culture today is the ability to mix old with new and the Saki dining chair with padded upholstered seat is customary to do this beautifully.